Buildings are listed so that they can be cared for and protected and to ensure that their special features are not unwittingly altered or destroyed. Building regulations do not allow unsightly exterior pipe work as it is not in keeping with the original façade, and the alternative option of drilling through existing floors to fit internal soil stacks is restricted if it affects the aesthetics and originality of a listed dwelling. 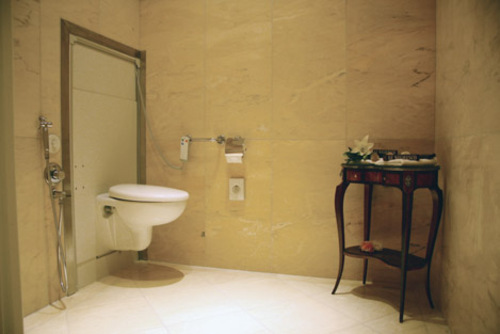 Lack of toilet and bathroom facilities is a major problem in most old buildings. The invention of small bore macerator pumping systems by Saniflo over 30 years ago has done much to assist the modernisation and enhancement of such buildings. The Saniflo discharges waste and water vertically or horizontally from a WC through small-bore 22mm pipe work to a remote soil system. Saniflo’s great advantage is that you don’t have to rely on gravity plumbing to the soil stack or sewer. The products success in overcoming bathroom-plumbing obstacles has lead to an extended range to accommodate kitchen and utility environments almost anywhere. Saniflo -A perfect solution to the preservation of our Heritage. This press release was distributed by ResponseSource Press Release Wire on behalf of Consortium Communications in the following categories: Men's Interest, Leisure & Hobbies, Home & Garden, Public Sector, Third Sector & Legal, Construction & Property, for more information visit https://pressreleasewire.responsesource.com/about.